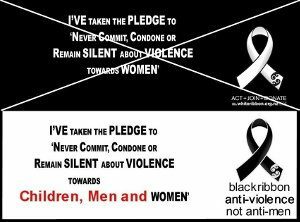 The Ministry of Men’s Affairs is a community group because successive governments have ignored the voice and welfare of NZ men. 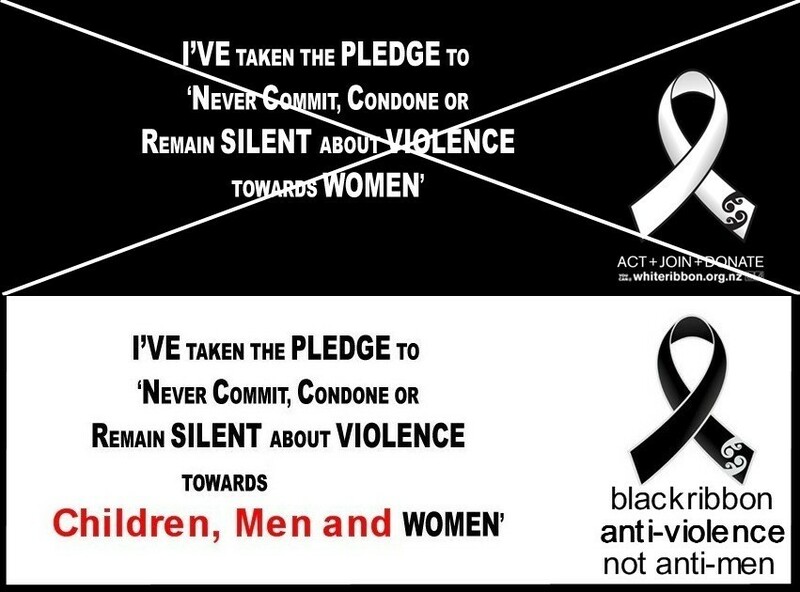 Each Saturday in October a few of us have been pounding the pavements in different cities to raise awareness of men’s issues and to encourage people to wear a black ribbon rather than supporting the male-bashing White Ribbon Campaign. We have handed out thousands of leaflets and we express our gratitude to Paul Catton for generously donating several reams of leaflets as well as food and refreshments for the campaigners. We have been heartened at the level of positive response to our campaign from the various cultural and socioeconomic groups represented in the places we visited so far. Last weekend we set up our modest road show in Manurewa and received mainly warm and very supportive responses. Yesterday we set up on the stage at Hamilton’s Frankton Market and had people come up to join us in singing. We had numerous conversations with men and women who, when realizing what we were on about, stopped to awhi us or to tell us of their own stories of ridiculous injustice, grief and trauma caused by anti-male gender discrimination. We have been amazed by the number of women showing support; many spoke of sons, nephews and grandsons who were being abused by female partners or shafted by various taxpayer-funded institutions that are meant to operate without bias. We also handed out Ministry of Men’s Affairs badges to those showing support. We gave one to a kaumatua who was on his way to speak at a sports event and who stopped to acknowledge our mahi; he immediately pinned the badge on the lapel of his suit before continuing on his way. There is a sea change developing regarding gender and men’s issues. People are rapidly recognizing the untrustworthy nature of anti-male propaganda that has been our fare for several decades. Unfortunately, news media and politicians are yet to get on the wave, but that’s nothing new. Although those who think, talk and write about men’s issues have often felt as though their work is futile and they have been shouting into a storm, we believe that truth has ascended bit by bit and that our voices will increasingly be carried on favourable winds. The responses we receive on the footpaths of our Black Ribbon Campaign leave us in no doubt that a major weather change is brewing. Be ready for it lest it blows over before our sails and anchors are up. Nurture an image of thinking men working together, being fair, reasonable, respectful and wise. And please, come and visit us even briefly next Saturday 26 October at our last campaign this year outside St Kevin’s Arcade, K Road, Auckland, from 11am to 2pm. Is the 11am to 2pm also for next Saturday? Good campaign and good luck with it. Have the back ribbon poster up at work. Now live in the ‘wops’ but still use the ‘pen’. Did anyone see 3rd Degree this week with its story of redemption for a male abuser. 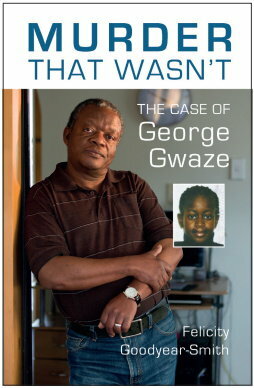 He was actually ‘saved’ by the current system of LWV. Anyway posted a comment on TV3 website. You may want to add to it. Also laid a formal complaint against TV1 Q&A a few months back when Boshier appeared rabbiting on about the great work white ribbon is doing. Not holding my breath on result but will let you know. I too perceive there is recognition amongst many more people about domestic violence being a human issue rather than a problem gender. I hear many women acknowledging female participation in the situations. But then I despair when my own brother ended his 35 year marriage a couple of years back. Amongst the reasons was her on-going domestic abuse directed at him. He was a 2nd dan black belt in karate for what that is worth. Clearly he did not stop it through that avenue! With their eldest daughter leaving home because of the mothers violence some decade before. He well knew my involvement in this arena since the late 1990’s and never said anything. Keep telling it how you see it. Post me some black ribbons. We’ll wear them with pride. Something needs to be done to turn family violence into a human issue and NOT a male issue. It is like treating all muslims like terrorists & whenever there is an attack it is presumed that it is bound to be a muslim & that too from Pakistan. People forget that muslims are victims as well and terrorism is not a religious issue but a HUMAN issue. Again MOMA (Still hate the Acronym) were in attendance at K’Rd pushing out numerous pamphlets and engaging in public dialogue regarding the 30 point bulletin of the most important issues horrendously affecting men in society today. I was pleased that Opal and I were able to able to attend briefly and show support for the effort that they are extending regarding the cumulative problems men face. It disheartens Opal and I when any anonymous individual attacks at a personal level rather than at the issue, especially against a dedicated group trying to help disaffected men. Perhaps, I should say to the latest attendee, a guy with his two year old boy, “No Room now at the Inn” and kick them to the gutter. I get disgusted at the lack of empathy, compassion and an ability to be constructive and co-operate between all facing these hardships stemming from gynocenticrity.